At first look, this new JJRC Heron X9 drone wants to be a cheaper alternative for the Spark. It has similar design and features. Furthermore, being around $150, it comes with its own remote controller. Of course, on paper everything can look good. Certainly, the most important features of the JJRC X9 are the brushless motors and GPS positioning system. Thanks to the barometric-air pressure sensor, it also features altitude-hold. 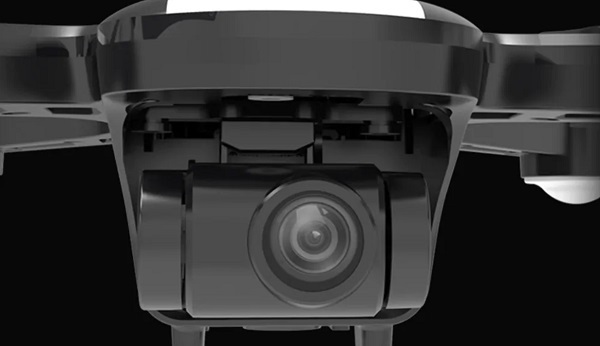 The full HD camera is hanged on a 2-axis mechanical gimbal, which claims to provide very smooth aerial videos. The camera’s FPV range is around 200-300 meters. IMHO it is too short compared to the up to 1000Km control range. About 15 minutes flying time. As I previously mentioned, the Heron X9 comes with its on transmitter. In order to provide excellent control range, the RC has dual antenna system. The remote controller comes with built-in LiPo battery and phone holder. The layout of the transmitter is very simple. On front panel, besides the usual control sticks , has only 4 buttons. From left to right: M, Take-off/Land, Photo/Video and RTH. 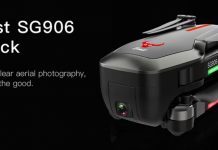 While the X9 Heron has been announced since November, only in February started to become widely available. Now, you can order it from Banggood for $169.99. You have two color options: white & black. the batteries of C FLY DREAM are compatible with the jjrc x9? Ordered this one on December 1st by Gearbest. Yesterday, it was shipped. Shipping time will be around 2 weeks. Hope it isn’t just a c-fly clone. We will see. 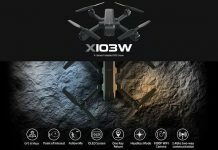 Ich habe den Copter bei Gearbest gekauft und muß leider noch bis Mitte Januar warten. Furchtbar !!! Ich bin gespannt. I bought this JJRC X9 copter and unfortunately has to wait until mid-January. Awful !!! I’m very curious about it. i guess a jjrc re-branded c-fly dream but much cheaper. same 1000mah 3s batt with 15min air time. lets hope they at least fix the crappy camera sensor of cfly. cool, I like its design and price tag. the question is if the Heron will have the image quality of the Spark. If YES, for its price will be a best seller in 2019!!! 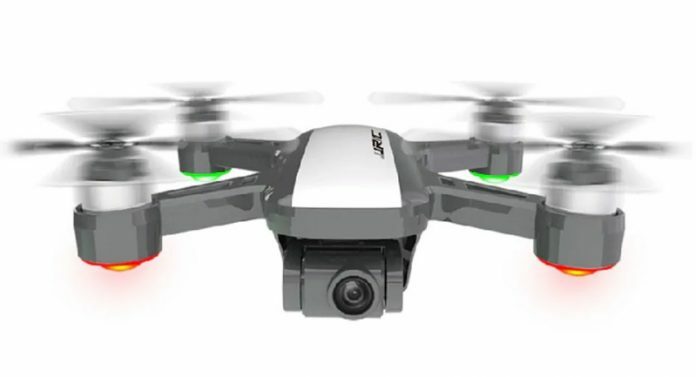 Both, control and flying time oft X9 JJRC are similar to the Spark.